Geekdom101 Yo, so like Planet Vegeta isn’t their original planet. So it would be so damn cool to see life prior to planet vegeta and ancient saiyans like the fist Super Saiyan or the previous legendary super saiyan. 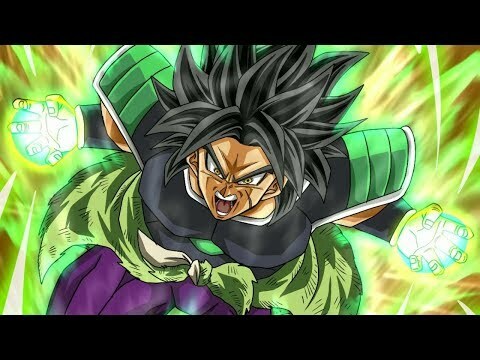 Geekdom101 no not really leave the movie as the main story of broly and only do a arc if there a story for broly or leave the movie alone and only do the hour script that the creator did that they cut most of the stuff out of the final movie of y’all understand what I mean but leave the movie alone and do a arc that isn’t entirely on broly only but on everyone with broly being bring in to the middle of the arc. Geekdom101 Could you please do a video on the Vic Mignona controversy sometime soon? There’s so much noise right now and you’re the only person I trust to report the news objectively. Either show Goku leaving planet Vegeta with no armor, or add a scene wear it shows him taking it off or losing it for continuity sake. Correction at 12:22 There was a scene like that. After Broly beat SSjG Goku, Piccolo talked to him telepathically and asked him what was going on, then told him he wasn't going to get directly involved in fighting against Broly because he knew he'd just get in the way, and Goku agreed that he should stay where he was. Yo, so like Planet Vegeta isn’t their original planet. So it would be so damn cool to see life prior to planet vegeta and ancient saiyans like the fist Super Saiyan or the previous legendary super saiyan. I think an extended version of the movie would be enough. I wish I never watched it broly 2018. So since Paragus says that Broly was able to use the power you gain from being a great ape and make it his own, does that mean that the form he had with the green glow is SSJ4? Just an observation. Geekdom says, that the explanation for Vegeta and Goku didn't mention anything about Kale when they saw Broly's transformation, was because Toriyama did not create her. That is true, but if that is the case, then maybe the movie wouldn't show Kefla, which Kale is a fusee. Even if was the movie staff that decided to put that image there without being in Toriyama's script, why wouldn't they add a line or two for them to say "Oh! He's like Kale!". Doesn't make much sense. I hope this isn't adapted into the anime. There's no point in wasting time on having them animate the same thing twice. Just make the movie required watching and do a recap of the movie in the "Last time on Dragon Ball Super" segment at the beginning of the episode. Treat the entire Broly movie as an extended episode. Episode 132. Didn't he lose his eye from ba?? Not sure if this is relevant but something I want back in the series are the sound effects from the originals. I know the dudes busy on one piece. But every time i hear them there. I just think they should be on Super. Yamoshi special...we need a hecking Yamoshi Special!!!! If they retell the movie, will the anime style be the same? The film covers alot of past events and back story which I believe are going to be difficult to represent in the anime, so as much as I would like to see more in depth lore and look at it, I don't know if it would work very well. Although I would definitely like to see brolys final form transformation emphasised a lot more and be more epic, which i feel was definitely missing as well as great ape stuff and how ikari was achieved. Which Majin Buu Is The Strongest?